The RSF social philosophy is visualised in this model. It demonstrates interlinked entities and depicts the relationships and effects. Each entity is connected to all the other ones. Each emits and recieves. This clarifies the actions and reflections that the behaviour of each entitiy has on the addressee, environment and on the actor itself. The racer (individual) is most important. The construct originates form him and returns to him. Without him, the racing community cannot exist. The second in importance is the series. It is where the racing becomes organised and leaves the randomness behind. The series is often the predecessor of the league. The community may not want to become a league though and can stick to remaining a series. The league and the team are optional. 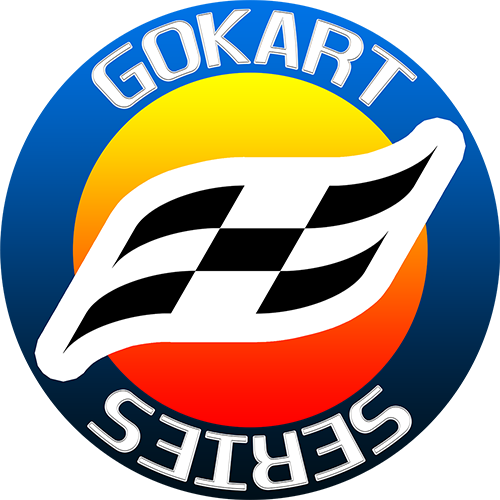 One can run as a single driver in a single series. 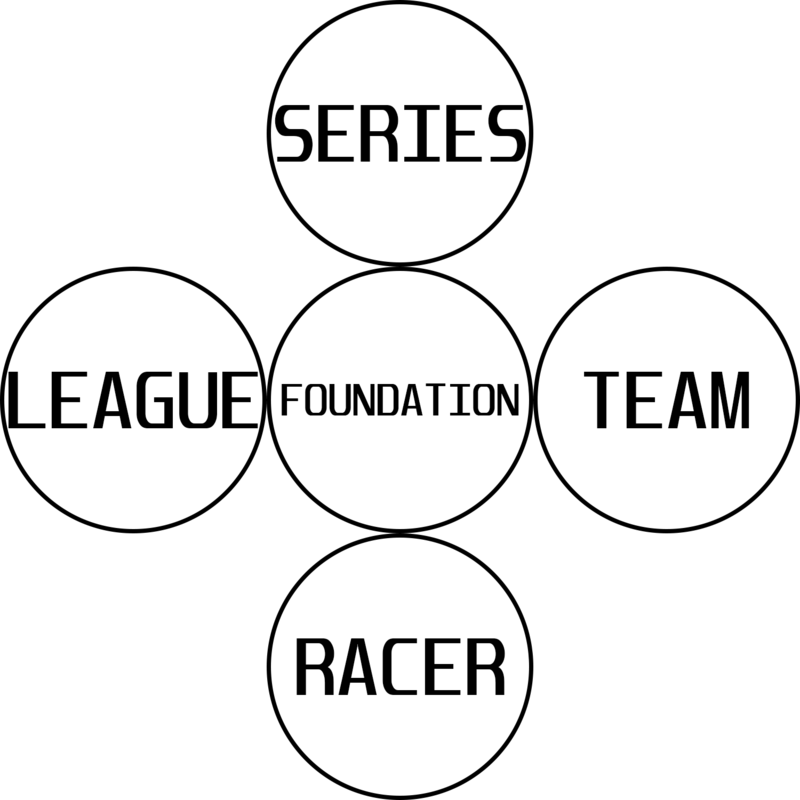 However, the league, which is the result of a community choosing to run varying series and the team, which is the result of harmonising people uniting to form a group, add excitement and cause dynamics with interesting effects. So while all that organised racing needs are racer and series, having teams and evolving into a league spices things up. Despite the offer, a racer may still not be happy with what he finds at a community. He may want to start his own projects, realise his own ideas. That is why we offer starting help. We believe in plurality and diversity. If anyone wants to start his own venture, we provide help the best we can. It is our understanding that by supporting and empowering others we do that to ourselves so offering our help with the 4 aspects depicted in the illustration is a logical conclusion. That means if aynone wants to become a racer or found a series or league or team then he can count on us aiding him to do so. 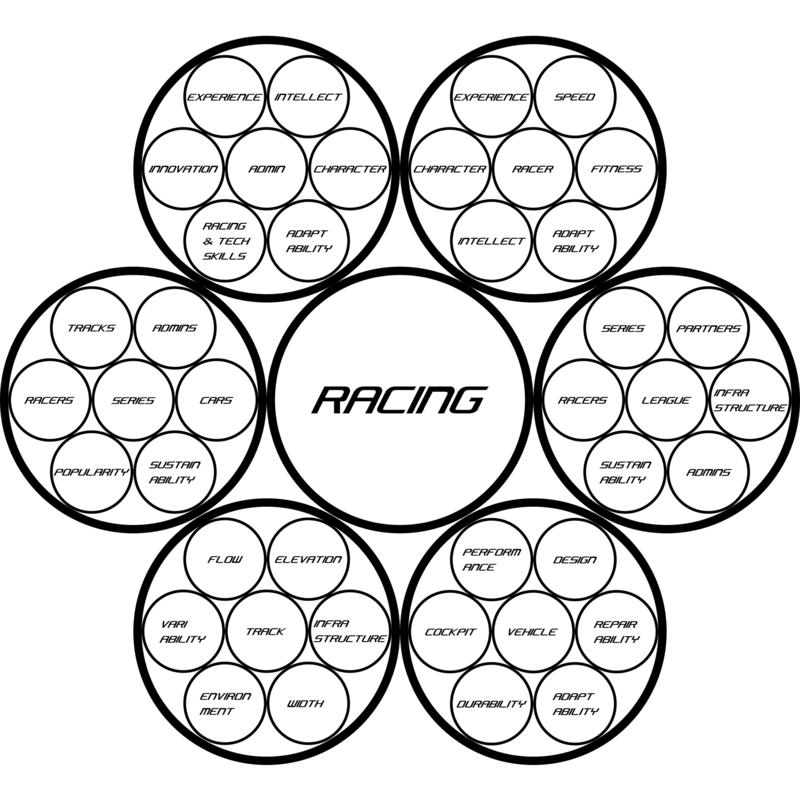 Inspired by sacred geometry, the flower of racing is a concept that covers what we consider the key aspects of racing in the most simple way while maintaining the geometry of the flower of life.